Designing for retail apps is extremely interesting because it all comes down to conversions. One wrong design decision and that could well mean a lot of lost revenue for your client. While some of the conventions of good design and UX apply to retail apps, some design choices you’ll have to make to optimize UX may surprise you. When designing your individual product pages on your retail app, be sure to give your shoppers everything they could want in the way of information. Although it’s mobile, they still want to be informed shoppers. Amazon offers a clever example of getting around the limited screen space issue: They’ve simply decided to design long-scrolling pages in the app to let users scroll down to absorb all of the rich information on every, single product page. A huge barrier to conversion is asking shoppers to register upfront. There’s a high risk that they’ll just leave right then and there. This is also true on the desktop. 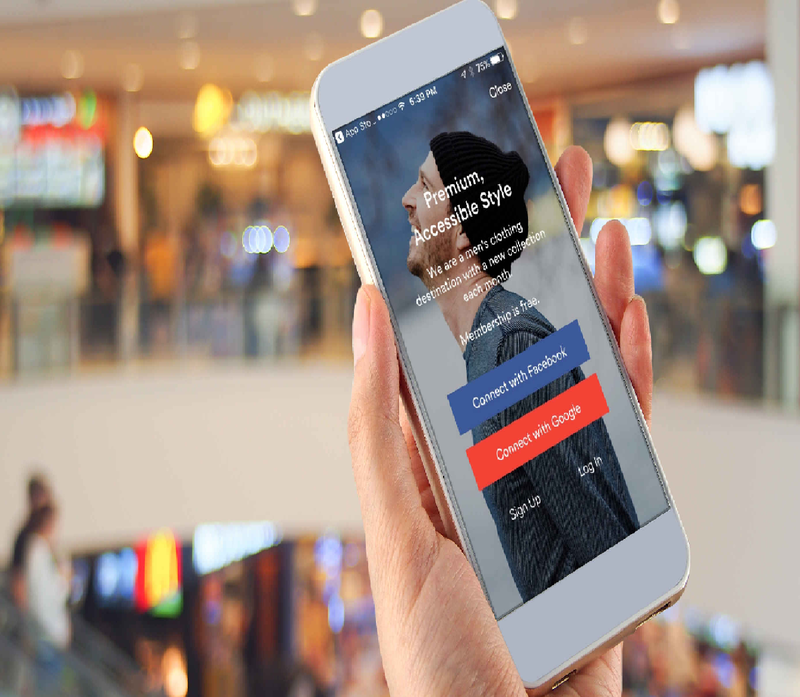 However, on mobile, your retail-app experience provides much smaller screen real estate, which makes registering an even larger hassle. That’s why, if you absolutely must ask your shoppers to register, you have to give something of extremely high value in return for their troubles. Good UX means giving your users full control inside of the retail app. According to Google’s own retail app recommendations, it’s a best practice to empower shoppers to edit their own carts or baskets at any stage in their buying flow. If your shoppers have to go back a few steps in the buying flow — say, to one’s account page or a subsequent page — that causes frustration and leads to friction in what should ordinarily be a smooth conversion process. That frustration and friction can ultimately lead to abandonment and consequently fewer conversions and sales. In the Walmart app, shoppers can directly edit the quantity of purchased items right on the checkout page without having to return to any prior page in the buying flow. As a result, shoppers who want to change their mind about how many items to buy have the full freedom and control to adjust the quantity to their liking until the very last moment before they tap the check out button. In mobile retail, great UX intimately ties into providing excellent customer service. A huge component of customer service is always ensuring that customers can see the online retailer’s contact info because they’ll likely have questions or comments that they want to communicate via email or phone. Making this info easy to find also acts as a way of boosting your app’s credibility. Way fair’s app shows us how to display contact info readily, so that it puts the shopper’s mind at ease and provides great UX by offering contact info that’s very accessible. On their account page, shoppers can choose to email or directly call Wayfair in case they have questions or run into issues in their checkout process or broader app experience. Note how the contact info is near the top of the page; shoppers don’t even have to scroll down to locate it. Shoppers are given choices as to how they want to get in touch with Way fair—which also goes back to the design principle of giving your shoppers more control over their experience.